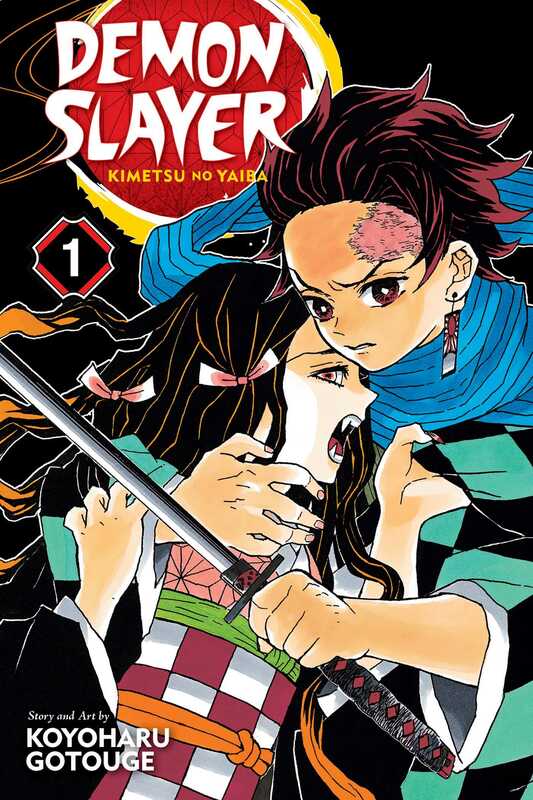 Tanjiro sets out on the path of the Demon Slayer to save his sister and avenge his family! In Taisho-era Japan, Tanjiro Kamado is a kindhearted boy who makes a living selling charcoal. But his peaceful life is shattered when a demon slaughters his entire family. His little sister Nezuko is the only survivor, but she has been transformed into a demon herself! Tanjiro sets out on a dangerous journey to find a way to return his sister to normal and destroy the demon who ruined his life. Learning to slay demons won’t be easy, and Tanjiro barely knows where to start. The surprise appearance of another boy named Giyu, who seems to know what’s going on, might provide some answers…but only if Tanjiro can stop Giyu from killing his sister first! Action-adventure title similar to InuYasha that pits samurai swords against demons.